There is nothing in the Japanese garden that you cannot see. 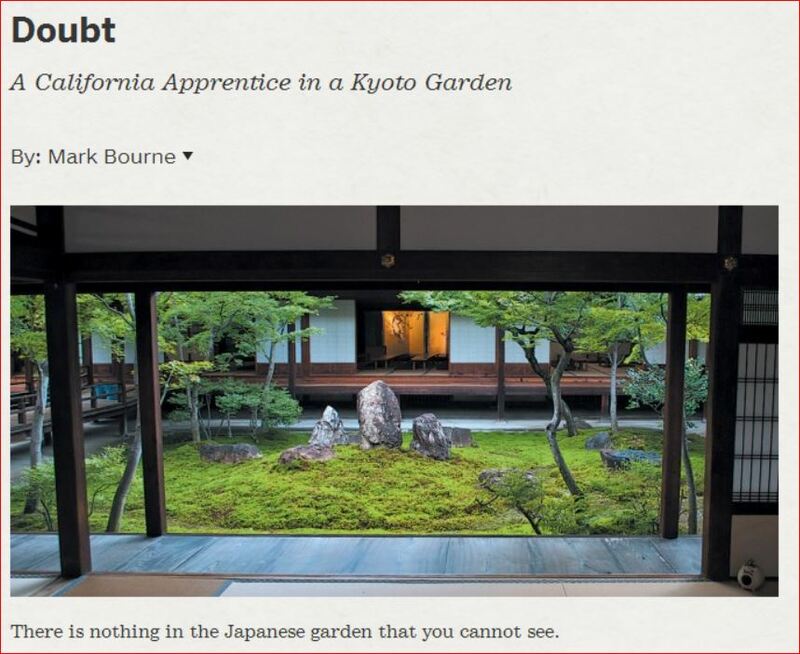 This is the article that got me to want to go to Kyoto to start learning about Japanese gardens with my hands instead of my eyes. An article in the Pacific Horticultural Magazine by Mark Bourne, who has been an apprentice here for four years.